Multiple sites can be edited in bulk with required plugins, themes, and other activities. You can expect a great support from Anukr Shukla and his team. WordPress is the modern day go-to place to earn profits. Many businesses require multiple WordPress sites to fulfill their requirements. To manage a huge number of sites is time consuming when changes and updates are to be done. A new web application called WP Suite was created to tackle this problem. 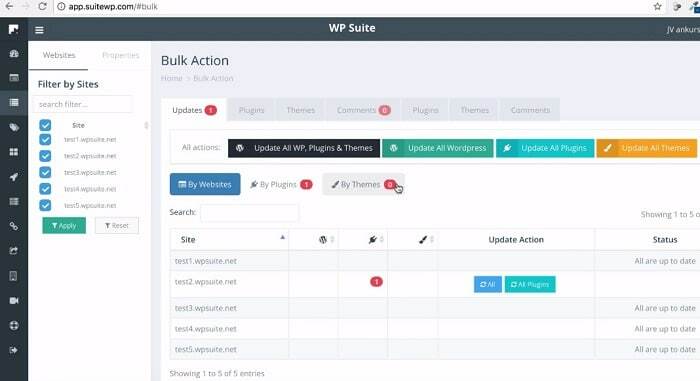 WP Suite helps manage many WordPress sites under one dashboard. 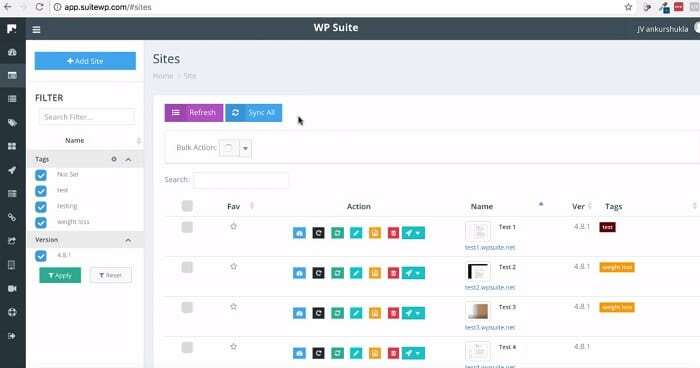 There is no need for multiple logins with WP Suite to access the different sites for activities like installing themes, plugins and updating posts. With WP Suite it is easier to manage and control the sites instead of hiring someone to manage these sites. In the main dashboard, we see BULK ACTION which is used to update or edit multiple sites at the same time. This can also be done categorically displayed at the top in the form of a horizontal bar. From the dashboard shown, select the tab that says WEBSITES, which upon clicking show you a list of sites. To the left of the site name is a set of actions like sync, edit, delete and dashboard. To enable websites with certain WordPress themes or plugins, click on the site dashboard enlisted in the activities column. The page shown will let you edit plug-in, themes and whatever is required for the site. You can enable or disable plugins with a single click and also add a new plug-in from a choice of over 40000 options. The same procedure is used for choosing WordPress themes, posts, pages and media. 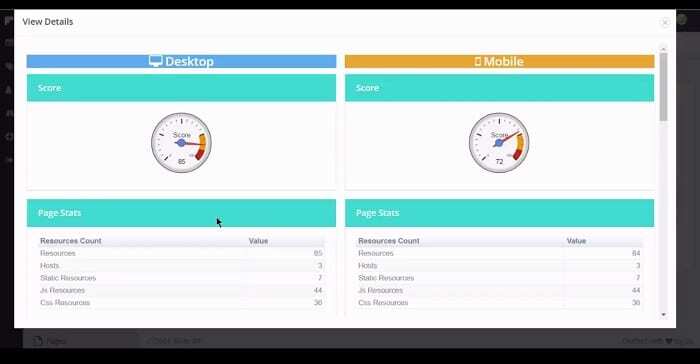 Instant access to all the websites under one dashboard, allows tasks to be performed in bulk. This ensures that time is not wasted performing the same operations or posts for several sites. The dashboard itself provides with the recent updates of themes or plugins which can be installed, enabled or disabled with a simple click. In addition, you can make the changes in bulk i.e, update required plug-in or theme to all the websites. WP Suite does not require multiple logins to handle various sites. This decreases the hassle of handling many websites and helps manage them more efficiently with one application. 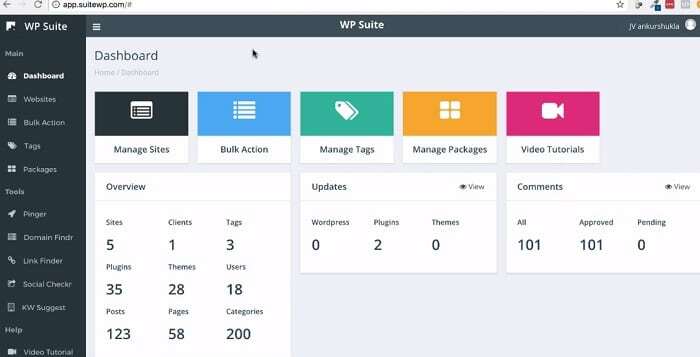 WP Suite allows a limitless number of WordPress sites to be added and managed under one administrator. All the requirements are fulfilled and listed in the application. Thus, countless sites can be managed on the go. 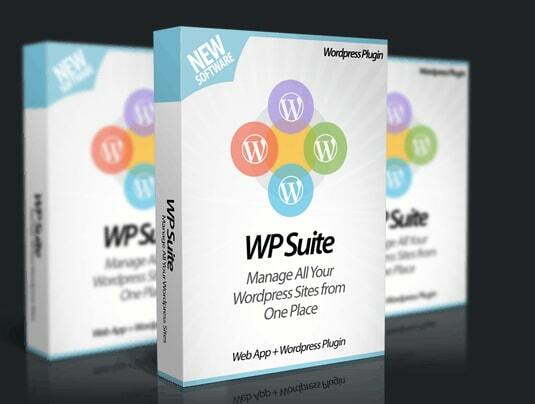 WP Suite gives a simple interface which is very easy to handle. The web application thus helps with the management for people even with novice skills. For those that require managing many WordPress websites, the software comes at an affordable price for the front end at $27 which you can later update to the pro version worth $37. The software comes with a 30-day refund policy if the customer is not satisfied. As convenient as WP Suite may seem for a web application, it can only work with WordPress sites. This is a drawback that stops it from expanding and helping other administrators who handle multiple sites. For all the website owners, entrepreneurs, marketers and bloggers, WP Suite is a one stop solution to handle your multiple accounts. The best part of the deal is you get all the features and updates in one dashboard. 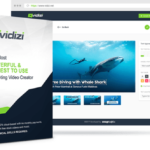 It saves your resources with respect to both time and money by allowing you to edit your website in a matter of few clicks and no multiple logins. 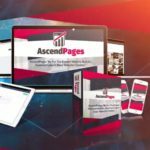 Ascendpages Review And Bonus - Is It Best Wordpress Alternative ? SocitrafficJet Review and Bonus - Is it worth to buy?